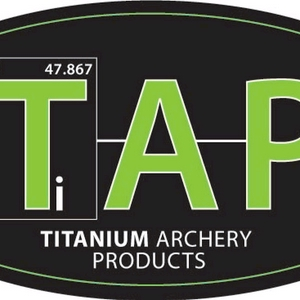 Sam Shaffer, the founder and owner of Titanium Archery Products hosts this weekly show to discuss advancements in Bowhunting, Archery Accessories, Outdoor Adventures and the occasional off-road journey into random subject matter. Sam also answers questions from listeners and provides updates on developments his company is making on new products. With Sam's creative mind always churning out innovative ideas and opinions on topics ranging from Whitetail Deer, to Kinetic Energy to Pop Culture you're sure to be ENTERTAINED and INFORMED. Brief episode to provide some information on new products and content to keep an eye out for the in the near future! Storm Elazar is a rising star in the Target archery world and will be competing in the Lancaster Classic in the pro division and also at the Vegas shoot. Storm traveled from New York City to test shoot TAP's "The Hybrid" stabilizer and chat with Sam about many facets of competitive archery and his focus on the goal of reaching the top. Storm it Win it! Sam gives a big THANK YOU to the 2019 Brand Ambassador Applicants and talks about The Hybrid and other plans for TAP in 2019. Sam and Michael Lawrence cover Target Archery, Athens Archery Bows, Industry Co-Ops and many other topics that came to mind in this free ranging episode. TUNE IN AND GET TAPPED OUT. Sam brings Team TAP member and avid archer Josh Mahoney to the show. Topics covered include "trophy" whitetails, the effect of social media on hunting and what it means to be part of Team TAP . TUNE IN AND GET TAPPED OUT! Sam chats with team TAP member A.J. Gamboa. A.J. brings insight to show on learning to bowhunt, experiences with hunting in Texas and Colorado, overcoming PTSD with the help of hunting and many other subject areas -- a very informative and interesting episode. TUNE IN AND GET TAPPED OUT! Sam goes over a number of archery topics including further discussion of Iron Will Broadheads, Sound spectrum analysis on TAP products, Women in bowhunting, His 2018 bowhunting season and much more. TUNE IN AND GET TAPPED OUT! EPISODE #5 - 12.7.18 - Sam chats with Competitive Archer and Avid Bowhunter Tom Spisz. 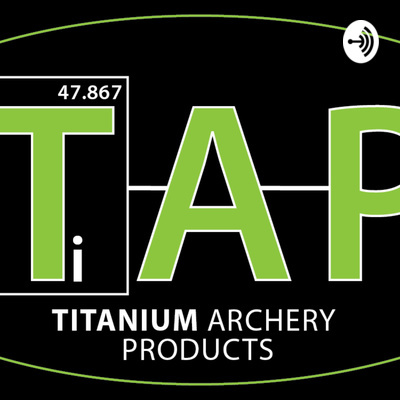 Sam and Tom discuss Team TAP, the finer points of tuning front and side stabilizers to your bow, competitive archery, bowhunting and MUCH MORE. TUNE IN and get TAPPED OUT. Sam chats with long time Team TAP member and avid Bowhunter Michael Lawrence. Sam and Mike discuss various topics including Arrow Tuning, Broadheads, "long" Axle to Axle bows, Crossbows and more - tune in and get TAPPED OUT. Trials and Tribulations of the small business producing high end products, 2018 Team TAP member harvests, Iron Will Broadheads, Athens TAP Edition 2019 bow and MORE. Tune in and get TAPPED out. Sam reveals the winner of the 2018 HARVEST BIG GIVEAWAY. The winner was selected via random number generation - TAP's Brand Ambassador team members and their family were not eligible to win the Grand Prize.